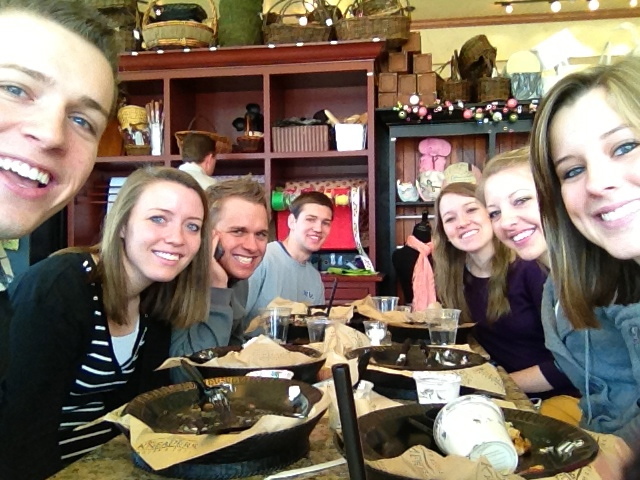 Last breakfast before entering the MTC. I have to admit I didn’t think I would need to blog again until I turned this site over to my parents to post my letters home. However I was chastised with love by one of my EFY kids from over the summer telling me to blog about my thoughts before I leave! I realized he was right and so here I am trying to convey my thoughts and feelings in some way and in another place besides my journal. Well, I report to the MTC in 11 days. 11!? First of all, where did the time go? It feels like just yesterday I got my call and I was telling people; “Oh I don’t leave for a few months”. Crazy. I’m nervous, anxious, scared and excited all at the same time. Is that possible? Most definitely. I found out that I am going to the Provo MTC after all because my visa still hasn’t come through for Brazil. As much as I’d love to be heading to Brazil already, I know that the Lord has a plan and my departure for Brazil being delayed is part of that plan. Patience has always been a struggle of mine. I think the Lord knows this and even before I’m on the mission I find myself being refined-I need it ha ha. I was able to attend a baptism tonight of someone who’s been investigating the Church of Jesus Christ of Latter-Day Saints. It was such a cool experience. 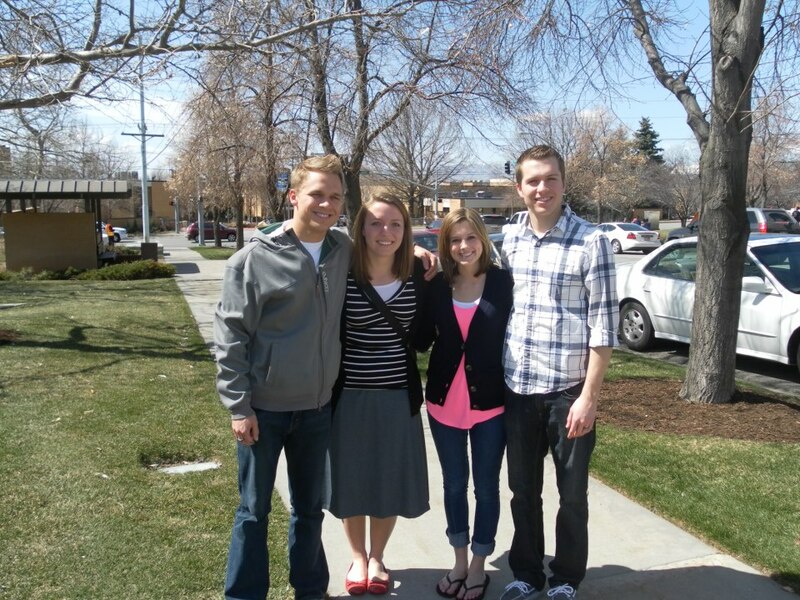 To be able to hear his testimony and story of conversion coming unto Christ was so special. To see that he took that leap of faith and read the Book of Mormon, prayed, pondered and really looked to Heavenly Father to tell him if this was true was so touching. He was able to find out for himself, as we all should by asking God whether such things are true. Was Joseph Smith a prophet of God? Is the Book of Mormon True? Are we really God’s children? Does He love us? Is Christ’s atonement real? Can I really change my heart? Can I stop my addictions? Can I be forgiven for my sins? and so on. We are all on our own journey of conversion in this life, and we can always rely on our Heavenly Father to hear and ANSWER our prayers-because He’s promised us He will, and God never breaks His promises. This new member of our faith had such a sweet light about him as we all walked into the room together as a congregation after he was baptized. He stood up and talked about the happiness that the Gospel of Jesus Christ has given him. Although there was MUCH opposition from the get go, he knew that this was what Heavenly Father wanted. This is how he could come even closer to Christ and come to know Him not just of Him. I am forever grateful for the gift of agency that allows us to choose for ourselves what we want to do. The Savior doesn’t force us to come to Him, no. He invites us saying “Come, follow me”. That is what this investigator did tonight. He took another big leap towards the Savior by being baptized. I’m so happy for Him and I know that this is a new beginning for him, a chance to start anew and live a different kind of life where the work is sweet and joy isn’t fleeting, but everlasting. I cannot wait to share this gospel that brings me everlasting joy and peace as I go and serve as the Lord’s servant in 11 days. For 18 months I will be working as hard as I can to help people come to a knowledge that they ARE sons and daughters of a loving Heavenly Father who has provided a way for them to return to be with Him again. That through the gospel of His Son Jesus Christ they can repent, be baptized and endure to the end and feeling the peace and contentment that Christ’s gospel brings. I know this knowledge has changed my life and has blessed me with so much HAPPINESS! There is nothing more that I could ever want or need than my testimony of the gospel. My experiences have molded and shaped my testimony into what is today. And my testimony is knowing the Gospel of Jesus Christ blesses us all. Christ is the center of our church and it is through Him and because of Him that we can return to our Heavenly Father again someday. I am a daughter of God, He has sent me here 🙂 And He’s sending me at this time in my life to teach the people of Brazil the true and everlasting gospel of Jesus Christ that will bring them happiness.